 Meditation Courses - Dhammanikhom Vipassana-Meditationszentrum e.V. "All compounded things are subject to vanish. Strive and bring about completion by being heedful." Everybody who is interested, with or without previous meditation experience, is most welcome to participate. The development of mindfulness and the attainment of insights through one's own experience are independent of one's origin, age, gender, religion or belief. To practise Vipassana it is not necessary to adhere to any religious denomination. The recent course periods can be found => here. The "Dhammanikhom Vipassana-Meditationszentrum e.V." as well as any meditation teacher and the volunteers assume no liability unless this is due to intentional acts or gross negligence or injury to life, body or health by intentional or negligent breach of duty. The participation on a course is always on one´s own responsibility. The offered courses are not therapeutic and therefore do not replace professional treatment of people with mental disorders or physical illnesses. In cases of severe physical or mental illnesses, the doctor´s or therapist´s consent is needed. No liability is assumed for personal items or valuables. The teacher and the "Dhammanikhom Vipassana-Meditationszentrum e.V." reserve the right to deny participation on a course or to send the participant home earlier if he/ she does not follow the rules and instructions or endangers himself/ herself or others. 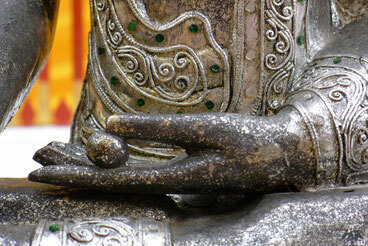 Every day starts at 4 a.m. and ends at 10 p.m. During that time one practices continuously the meditation exercises. Participants receive individual guidance in daily reports with the teacher. Part of the course is one hour working meditation per day. During the course the focus lies on formal meditation practice in order to use the opportunity of gaining experiences directly from the practice. Participants refrain from reading, even Buddhist literature, as well as from mobile phones and other media. The course is conducted in Noble Silence. Breakfast is served at 6.30 a.m. and lunch at 11 a.m. All meals are vegetarian. During the day drinks such as water, tea, hot chocolate and coffee are provided. Unfortunately we cannot be considerate of allergies and food intolerances. More details about the daily schedule will be given at the beginning of the stay. …to abstain from killing any living creature. …to abstain from taking what is not given. …to abstain from all sexual activity. …to abstain from speaking what is not true. …to abstain from all intoxicants (alcohol, drugs). …to abstain from eating solid food after 12 o´clock noon-time (drinks and certain liquid goods like yoghurt, soymilk, juices etc. are allowed). …to abstain from sleeping on high or luxurious beds. For persons who cannot or do not wish to attend a continuous basic meditation course there is the possibility of integrating the course in their everyday lives over a period of 12 weeks. Those who have already completed a basic course can do a retreat at home in eight weeks, followed by 4 or 5 days at the meditation center at the end of the retreat.